If you run a home delivery business, there are a few things that you likely have in common with other home delivery businesses. While you might think that a propane delivery service couldn’t be more different from the meal kit deliveries you make every week, you might be surprised to learn you have more in common than you might think! Regardless of what type of product you’re dropping off with your recurring deliveries, there are a few things that every successful home delivery business needs to thrive. We’ve listed seven of them below! Keep in mind, these are just a handful of the many facets that make up a successful business. We know that at the end of the day, you are the expert in your industry and we are your humble software servants helping you along the way. 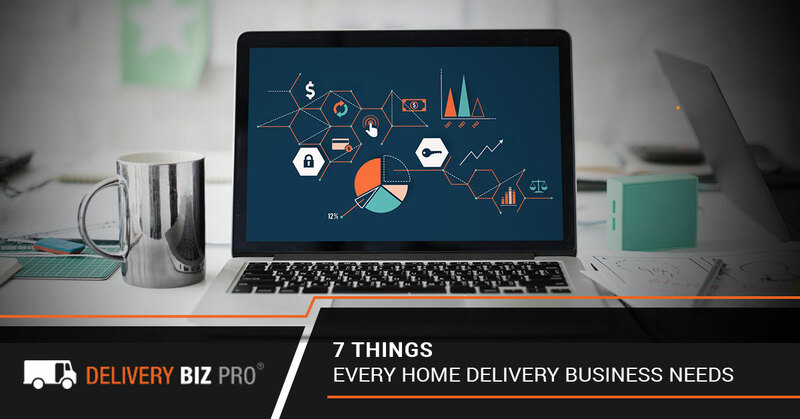 With that said, check out these seven home delivery business must-haves! A Beautiful Website: Home delivery businesses need a beautiful website. It doesn’t matter if you’re delivering plain, no-fuss water bottles and propane tanks or gorgeous, vibrant boxes of fresh fruits and veggies. Customers love a well-designed website that is easy to navigate and reliably updated. At DBP, we include a custom online marketplace with the use of our home delivery software, so you can count on having not only a great way to create your routes, but also a mobile-friendly website for your customers to browse on. An In-Demand Product: The great thing about the businesses our home delivery software serves is that the products and services they offer are amazing and make their customers’ lives easier. Home delivery of water or food for the week is so convenient and now, more than ever, people love convenience. With the rise in popularity of fresh meal kits, local milk sources, and the desire to have those recurring items you need dropped off at your doorstep, it is a great time to be in the produce, water, milk, or propane delivery business. A Way To Communicate: Customers need communication to know that they didn’t just give their credit card information to some random person on the World Wide Web and nothing is ever going to come of it. Your business will seem that much more legitimate and reliable if your customers, for example, receive a welcome email upon signing up that has more information about your products. You should also communicate with your customers when you receive their initial order, when their card has been processed, and when you deliver their products to their home. Of course, this is totally doable if you have ten customers. But what if you have 100? Or 1,000? Or 10,000!? Keeping communication with hundreds of customers is nearly impossible without some sort of automated system. And, thankfully, we’ve got one of those! Our home delivery software offers multiple modes of communication from welcome emails to delivery texts and updates, and everything is easy to use and set up based on your needs. The Ability To Give Customers Options: Some customers are pickier than others, or maybe they have a vacation coming up and don’t want their delivery to sit on their front porch for a week. Every home delivery business, from water delivery to prepared meal kits, needs the ability to let customers dictate the frequency of their deliveries, what is or is not included with their delivery, and when to skip a particular delivery. If your website can’t handle these functions, you might need to consider working with a different web developer. A Delivery Radius: When you run a delivery business, sometimes you need to make a tough call when a customer who is out of your delivery radius wants to purchase your product or service. While in general, the rule is that more customers are better than fewer customers, you also need to think about your return. If you have one customer who is ten miles further away than your second-furthest customer, is it going to be profitable for you to deliver to that customer? Often times, it helps to set a strict delivery radius. Stick with that area until you really start seeing profits from your business. If you are thriving and doing really well, then reevaluate that delivery radius to see if expanding it would be a good business move. A Reliable Delivery Routing System: Of course, even if you have all of the above, you’re going to have trouble remaining successful if you do not have a way to efficiently and correctly make deliveries to your customers. Late deliveries, skipped deliveries, and wrong deliveries all add up in the eyes of the customer as bad service. With our delivery routing software, you don’t even have to think about your routes. Our system will automatically assign customers to a logical route, or you can make multiple routes based on the neighborhoods you want a particular driver to go to or based on the day of the week the delivery is made. Your drivers can mark off when a delivery has been made, sent an automated text to the customer, edit orders on the road, and even drag and drop the delivery map around a construction zone. At the end of the day, we know you have good products and we know you’re the expert on your business. Now you just need a way to run it without overwhelming yourself with spreadsheets. That’s where we come in! Our home delivery software truly does it all. From automated emails when a customer signs up or submits an order to inventory management to delivery route creation, everything is easily doable with your suite of administration tools. To learn more about our customizable delivery management software, send us a message and we’ll set up a time to chat about if Delivery Biz Pro is right for your business!